The Sheriff’s Office is accountable for preventing and controlling crime in areas of the county which are not served by their own law enforcement agency. 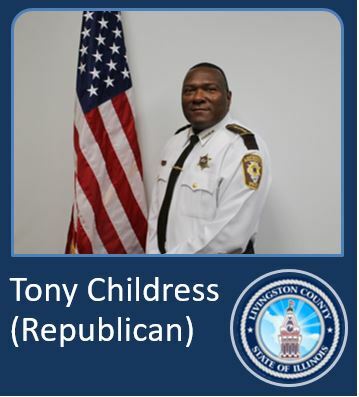 This department is also in charge of operating the county jail, in addition to serving summonses, executing court judgments, conducting criminal investigations, providing continual training and education for personnel, and performing the numerous functions required by Illinois Statutes. In addition, the Sheriff’s office is responsible for providing security for the Courthouse, notifying departments and the public of holidays set by the County Board for county offices to be closed, and determining necessity of closing the courthouse in the event of emergencies such as extreme weather conditions. The duties of the Commission are to accept applications and to screen applicants through written examinations, agility tests and oral interviews. Upon successfully qualifying applicants, the Commission prepares a certified list for the Sheriff’s use. The Sheriff’s office conducts investigations of background, reputation, character, employment records, and a psychological test. The Commission also tests Sheriff’s personnel for promotions. The current members are: Joan Bullard, Terry Sullivan, and Mike Trainor. From I-55 take exit 197 and go East on Rt. 116 into Pontiac. Go straight through 3 stoplights over the railroad tracks. Take the second right, which is West Street. Road ends at the Public Safety Complex. Of the 102 counties in the State of Illinois, Livingston County ranks 4th in geographical land size. Livingston County covers 1,043 square miles. The county is 36 miles wide at its widest point and 33 miles long at it’s longest point. In Livingston County, 3 municipalities have their own police agencies, those being Dwight, Fairbury and Pontiac. The municipalities of Odell, Saunemin, Cullom, Chatsworth, Flanagan, Forrest, Cornell, Reading Township and Newtown Township contract through the Sheriff’s Police for patrol.